Back in 2011, I wrote a post about Louisa Lawson in support of the digitisation of her ground-breaking newspaper, The Dawn. That project was successfully crowd-sourced through the efforts of Donna Benjamin, and editions are now accessible via Trove, The National Library of Australia’s digital collection. 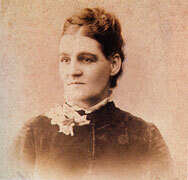 You can find more information about Louisa Lawson’s life over here on the Australian Dictionary of Biography entry. There is much source material available in The Dawn which may well appear in future Now and Then posts. Today’s offering, though, features a selection of feedback for would-be contributors to the publication which ran from 1888-1905. The regular column Answers to Correspondents incorporated advice, household hints, subscription details and responses to unsolicited stories and verse. Here’s a selection of mostly short, sweet and very direct feedback to hopeful correspondents gleaned from editions of The Dawn on Trove. M.B.W. Story hardly concise enough and the incidents want rearranging. V. S. Not quite up to standard, would not the first theme be sufficient for one poem. Try again. Myra Howard. You have a very good idea of rhyme and metre but not mechanical skill enough for the mythical theme you have chosen. Suppose you come down from the clouds and try something more mundane. Isabel. It would be a good plan to study the characteristics of a paper you intend writing for before commencing the work. It will save the editors time as well as your own. Anonymous. Why make [your] first attempt on broken verse? Why not try simple subjects in regular metre? Cissie (Newcastle). The Spelling Book Superceded will give you the instructions you seem to need for correct verse writing. Literary. If you distrust your own judgment concerning your work, then submit it to some capable and impartial critic. Avoid consulting any relative, friend, or literary acquaintance unless you are certain that the one you select is clear-headed and hard-hearted enough not only to consider fairly what you have written, but also to tell you without, fear or favour exactly what he thinks of it. the R.W. and B. Would you kindly send your name and address and your story “Australian Bobby” will be returned to you. The story is not without merit but it is rather crude, and you would do well to rewrite it. C. M. (Taralga). Your story “The True and the False” has been received, and if you forward a stamp it will be returned to you.